It’s the rare driver that, when he hears odd noises coming from his engine compartment, doesn’t furrow his brow in concern and worry. It’s common for both daily drivers and true car enthusiasts to stop in wonder at what the screech, rumble or hiss means when first noted. But is it cause for panic? Because today’s automobiles are complex machines that contain a plethora of working parts, a number of different sounds can be produced when something goes even slightly amiss. 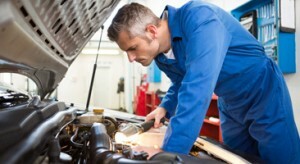 With more than a decade of experience as St. Charles’ preferred choice for import auto service and repair, our certified technicians have the qualified experience to know what those mysterious noises mean and can provide proper diagnosis and repair recommendations that can be trusted.